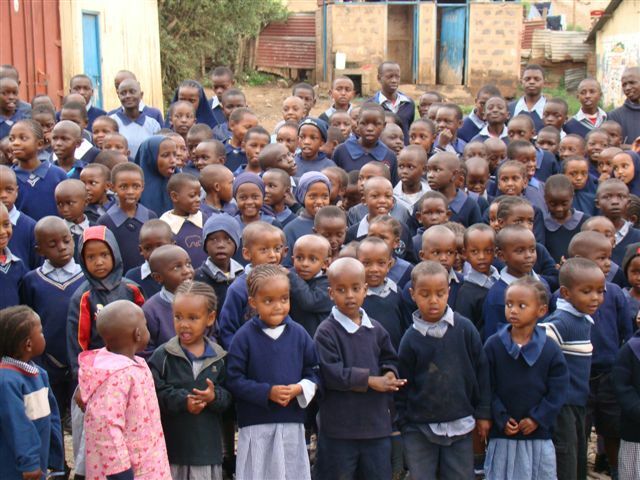 This Korogocho School is located in Kariobungi - a major slum area built around Nairobi dump, Kenya. The founder of the school is Euticauls Wambua Nzengu, the Baptist Bishop of Nairobi. The slum area is three square miles, and home to three quarters of a million people. Most people employed earn less than $1 per day. The Nairobi Dump occupies one square mile, and is the livelyhood for much of the slum's population. The school is built on a layer of dirt compounded on top of the rubbish. There are 297 students that attend this school. The school provides a hot lunch each school day. For most children, that is their only meal for the day. The children's attendance at school is irregular and spasmotic. There is no government funding whatsoever. So for periods when their parents don't have work, the children don't have school. This interruption severely effects their learning. 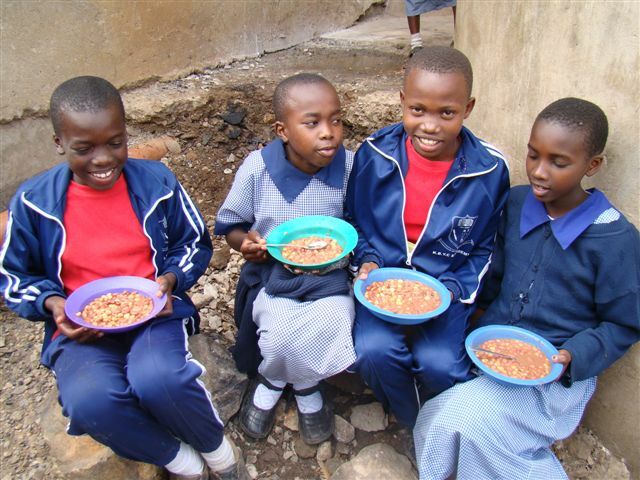 Kids2Kids has already successfully raised $7,000 for a plot of land for the Korogocho School. On this land, the school can now grow it's own produce for the LunchTime Feeding Program. This project has been one of promoting self sufficiency. ACHIEVED!!!!!!! 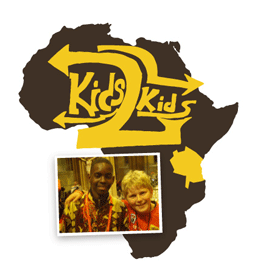 A heartfelt thank-you to all Kids 2 Kids supporters!